Chipotle (CMG) investors have gotten used to otherworldly performances from the Denver-based burrito seller, and in a few days they'll find out if they get to gloat once again -- or if they instead get to deal with a rare misstep. The latter would be stunning, almost certainly leading to a sizable drawdown in the shares, but counting on that to happen might best be left for only the most dedicated contrarians. After the close of trading on Tuesday, fourth-quarter earnings are due, and this time, analysts are planning on a profit of $3.79 a share, up from $2.53 in the same quarter last year. Revenue should advance to $1.08 billion, compared with $844.1 million previously. Same-store sales, which have been absurdly strong in recent quarters, are estimated to climb 16.3% after a 9.3% increase a year ago. If Wall Street proves to be right, the financials will, again, further solidify Chipotle as the leader of the fast-casual restaurants. At the consensus forecast, earnings per share would be up 49.8% from the fourth quarter last year, while revenue would rise 27.4%. Those readings would surpass both the average estimated growth and the average actual growth over all quarters for the past four years. In that time, analysts have projected year-over-year earnings growth of 22% and revenue growth of 20%. Chipotle has regularly done even better, with an average 26% gain for earnings and 22% on sales. This quarter clearly would outpace that. Chipotle has seen these types of results because it's found favor with diners almost everywhere it goes. Its run to 1,700 stores, a total that includes ShopHouse Southeast Asian Kitchen and an investment in the owner of Pizzeria Locale, has been accompanied by a stock that's been outstanding. Shares are up 11 times from the end of 2008, when they were at $62, to the end of 2014, when they closed at $684. And that even includes a down year in 2012. So far in 2015, the stock's up another 4.8%, including setting an all-time high at $727.97 on Jan. 8. Beyond the numbers, Chipotle's management presumably will offer further detail on operational matters, in particular how sales are being affected by the removal of carnitas from some of its stores -- a move taken because a supplier wasn't meeting Chipotle's pork-sourcing standards -- and the impact of the late January winter storm in the Northeast. The latter is an issue most every retailer operating in the region will have to address, including chain restaurants. At some point Chipotle has to slow, as businesses do. But betting against the company's approach, and its stock, has been a terrible idea. 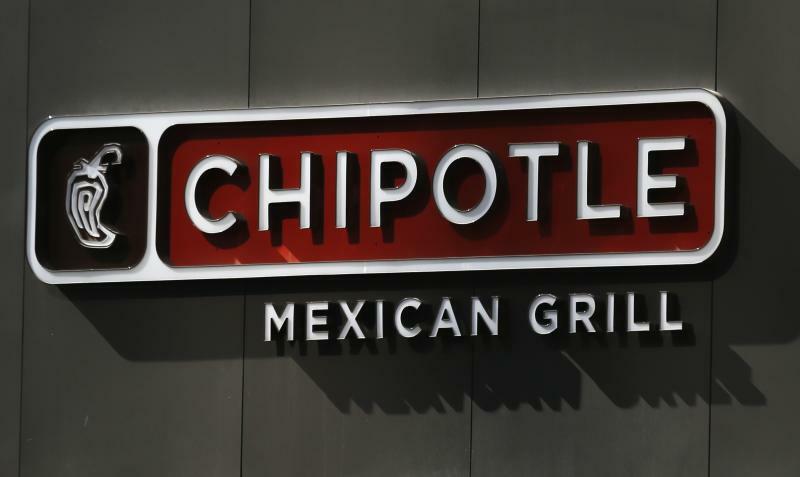 Short sellers aren't especially interested in the risk, even as Chipotle has risen to be one of the largest U.S. restaurants, with a $22 billion market cap. That's an impressive achievement for a restaurant chain that sells Tex-Mex-style foods and competes in a crowded market. These days, short interest is right around where it was last year, now at 3.9% of the float. Those who do like to go against the prevailing view will appreciate that several standard valuation measures on the stock are above their five-year averages. The price-to-earnings ratio on the last 12 months' earnings is 56 vs. a 47.1 average, whereas the forward multiple is 40.1, above the 35.5 average. Analysts' consensus price goal is now $745.80, compared with about $712 at the current trading level, and around half of the stock's followers have a buy rating, with the other half a hold. There are no outright sells. It's incredibly difficult to argue against the idea that Chipotle is winning, with the customers who are happy to pay higher prices and with investors who are, too. It's winning with the better-for-you food movement among restaurants that are trying to provide alternatives to large, entrenched brands like Burger King and McDonald's (MCD) (the Golden Arches used to own a majority holding in Chipotle). The public has gotten on board with its burrito bowls and chips, with management all the time telling the story of more natural ingredients and concern for the environment. It's done so well over its two-decade history that traders and the media are on a constant search for the restaurant that can be "the next Chipotle." The only surprise with next week's quarterly earnings will be if it doesn't keep winning.